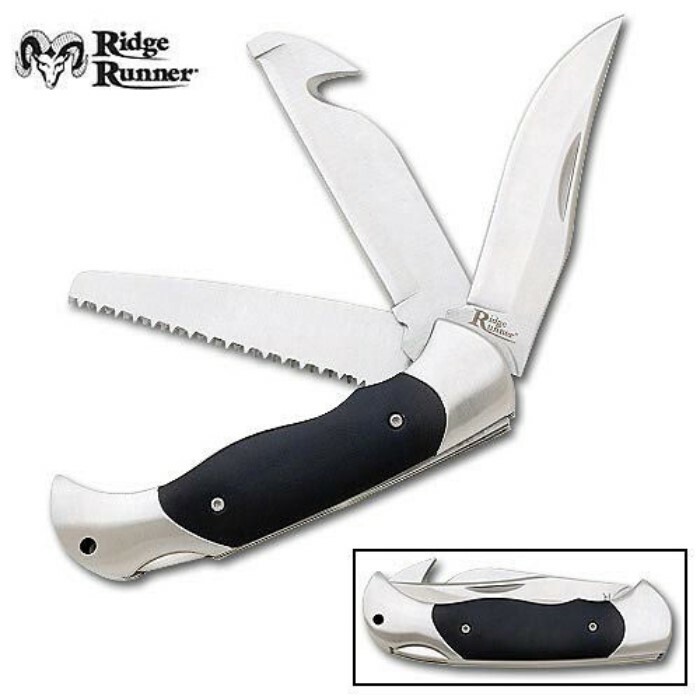 Ridge Runner Three Blade Folding Knife | BUDK.com - Knives & Swords At The Lowest Prices! 9 or more only $8.00 each! This knife is solid, but the three-blade design makes it difficult to close any individual blade's back-lock. That, and the guthook in the center is exposed to the hand while holding it, which could be a problem for some.